The exclusive lifestyle at Autumn Winds starts with a private bedroom and only 4 girls per apartment. With 2 bathrooms and large living areas, it provides both personal space and room for friends! Renovated Units Available. The exclusive lifestyle at West Winds starts with a private bedroom and only 4 guys per apartment. 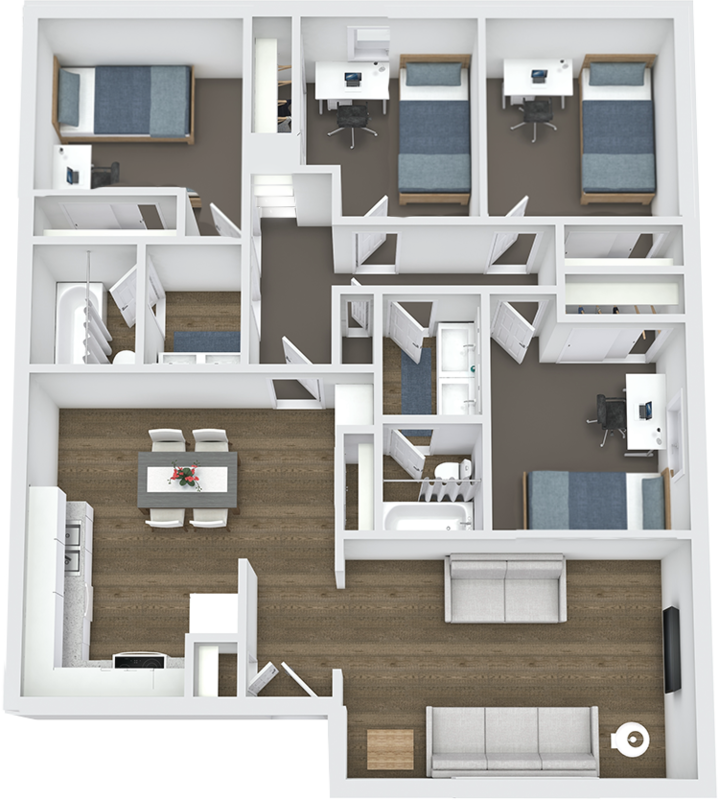 With 2 bathrooms and large living areas, it provides both personal space and room for friends! Renovated Units Available.